Every server I go in now, everyone has a ping of 40+ minimum, with the majority being 60+, are the servers struggling to support chiv, or did you get new servers or something? 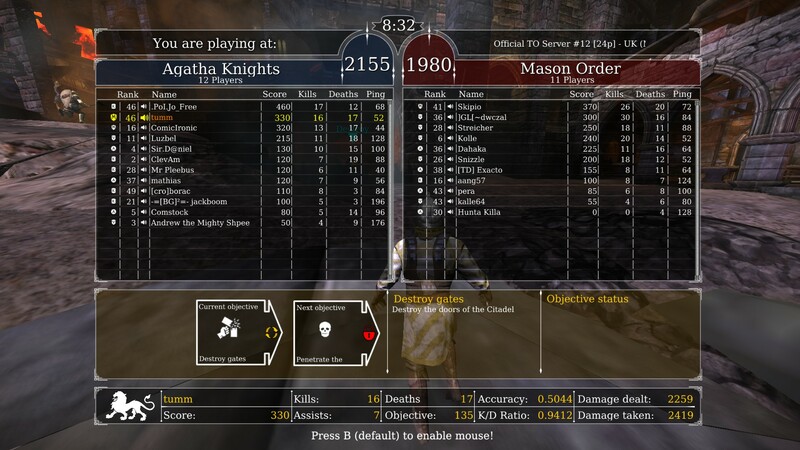 With a game as a precise as Chivalry, the 80 odd ping difference is noticeable in a subtle way, everything feels like it has a slight delay to it, or weapons that previously wouldn’t have reached before now do because of the slight difference in time it takes my game to recognise where the other player is, making it harder to use footwork. is this something that you’re aware of/being worked on or is it just the unfortunate nature of adding more content (DLC) to the game? This game seems to have so major ping issues, hopefully it will be fixed soon.